Whether gamblers can have more success in online poker or online sports betting is an age old question that players have been asking themselves since the games existed. While both are certainly beatable for players who understand each for, there are some essential differences and factors to consider when players contemplate their profit potential in both forms of “gambling”. Although theoretically not considered ‘gambling’ when the chance is not 50/50, ever. 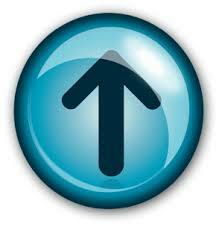 Look at any earnings tracker and the same guys will be up there at Pokerstars. Every year the same poker players will make about $300-500 grand a year based solely on math. More important than being able to define your edges, find market inefficiencies, or having the skill to beat inferior players is keeping strict bankroll requirements. Too many great or potentially talented poker players and sports bettors have gone broke due to lack of bankroll discipline. For poker players, bankroll requirements vary depending on the stakes and games you play. Requirements depend on whether your chosen game is cash, multi-table tournaments or sit n’ go tournaments. For example, for cash game players, it is recommended that they have at least 40 buy-ins based on their stake level. For a $1/$2 No Limit Hold’em game, this means players should have an $8,000 bankroll. Even at low stakes, a player could do extremely well for themselves. They could make $60,000 a year, or more depending on their win rate and amount of tables they play. Bankroll requirements for sports betting are around one or two percent of your total bankroll on each bet. The amount bettors utilize varies, but players have a serious risk of ruin when wagering more than five percent of their bankroll on a single wager. The goal for sports bettors is to at least break even. The breakeven percentage for winning at sports is 52.4 percent, but if bettors can win 55 percent of their wagers, they can make themselves an excellent living betting sports. However, since sports betting bankroll requirements are so stringent, the old adage of “you need money, to make money” rings true in a significant way. If I flat bet my wagers at 1% of bankroll of $10,000, my standard bet size would be $110 to win $100. Over 1,000 bets, a 55 percent winning percentage works out to 550 wins and 450 losses. On our wins, we’ll profit $55,000, but on our losses, we’ll lose $49,500. That’s a net profit of $5,500. This is nothing to scoff at, as beating sports betting for any amount of money is an accomplishment, but let’s look at how much time and effort this took on our part. A thousand wagers can be accomplished in less than a year’s time, but it will force players to be able to handicap a number of sports besides the favorite of most bettors, the NFL. Let’s also factor in that sports betting is not easy, and it takes time handicap games each and every day, usually hours of work. We’ve made $5,500 but how much time did we put into doing so? A considerable amount of time compared to the amount of time it would take to make $5,500 from playing poker, even at low limits. $5,500 could be eclipsed in one month of profitable poker at $1/$2. Our $10,000 bankroll would serve us just fine in poker as well, and as long as we are productive poker players, it allows us to earn a much larger amount annually. This isn’t to say that sports betting isn’t hugely profitable for some, but those with smaller bankrolls who are looking to make more money faster may want to focus their attention on poker. Making six figures per year from sports betting likely requires a bankroll of around $200,000 using our above bankroll requirements. Doing so via online poker can be done with a fraction of this number. I’m not trying to scare anyone away from sports betting nor enticing them to focus on poker instead. Instead, I’m giving an estimate on earning potential that correlates to available bankroll. The potential to earn more with less certainly is an advantage that is won by poker. With that said, it would be crazy to take hundreds of thousands of dollars and begin to learn sports betting by betting $1,000 a game or more. That’s why there’s a need to learn sports betting by wagering smaller amounts and moving your way up. Although $100 a game bettors won’t make much early on, they are also learning handicapping techniques. Think of it as on the job training. The goal of a sports bettor is to find inefficiencies in markets while improving your handicapping prowess and increasing your bet size. Building up your bankroll from the start will give you plenty of time to improve on your methods and give you a firm idea of your ability as a sports bettor. This is another area where poker has a noticeable edge, especially for those who are looking to build a bankroll early in their careers. Deposit bonuses and reload bonuses are usually much larger and more frequent at online poker sites, rather than online sportsbooks. Sportsbooks offer “free bet” or “freeplay” bonuses, but these are rarely as lucrative. It’s common for first-deposit poker bonuses to be $500-$1000 or more, and while these take a long time to clear, they are hugely beneficial to players. The site may also offer regular reload bonuses and some sort of VIP program or rakeback. Depending on the site, these programs can potentially be worth hundreds or thousands of extra dollars per month. This usually isn’t the case with online sportsbooks. It is quite rare to have a freeplay deposit offer for more than $500, and the attached rollover rates take down their value a bit. Some books will offer VIP programs, but usually aren’t worth much. For sports bettors, the best rewards usually come from reduced juice markets or competitive pricing. Reduced juice trumps a freeplay or deposit bonus by a large margin. Bettors can save thousands or hundreds of thousands of betting fees over the life of their account by betting with pricing better than -110. Poker and sports betting differ considerably when it comes to moving up in levels or increasing your bet size and stakes. As a sports bettor, you’re already going to be line shopping for the best possible price. Once you increase your bet amount, getting more money on a market is going to be a matter of finding ways to get the most money down on the best line. While this certainly gets harder as your bet amount increases, the skill or handicapping ability needed to beat the sportsbooks does not. This is not the case with poker. When players move up in stakes, they face a large selection of new opponents and tougher opposition. Even though the rules of the game don’t change, the skill of the players at higher limits can be substantially different. While scaling up for sports betting is just a matter of getting larger amounts on the best odds, poker players may have to make changes to their style of play or revamp it altogether. The jump can be especially hard when moving from the middle limits up to higher stakes. However, one aspect that poker players rarely have to deal with is being limited or banned. Some online poker rooms have taken measures in recent years to segregate their most successful players from their fish or limit the amount of tables they can play. These instances used to be rather rare, but are becoming more common for big winners. Still, it’s relatively minor compared what winning sports bettors face once an online sportsbook has decided that they have taken too much from them. Many online sportsbooks, especially US-facing outfits, are solely recreational outfits, meaning that they will limit or outright ban players who show even the slightest ability to handicap sports profitability. Of course, there’s plenty of sites that give players a longer leash and a few that will almost never ban or limit a player. However, once you have become a successful sports bettor who is wagering in four or five figures on contests, it may become a challenge to get large amounts of money down on the best line. Contrast to this to poker, where in most cases, players can win as much as possible and suffer no interference from management. Whereas, sportsbooks are forced to act because they can go under if they’re hit heavily by sharp action and are getting beat for big money. While the poker ecosystem is affected by players who win a lot and knock the fish out of action, the damage is marginal compared to a sports bettor who is recognizing inefficiencies in betting markets. Most online bookmakers have a short leash for continuing to take sharp action that is costing them money. This article may seem like it’s slightly slanted in favor of poker, especially for newer gamblers who are starting off small. While it’s true that a skilled poker player can make more money with a smaller bankroll than a sports bettor, that shouldn’t scare gamblers away from sports betting. Bettors will just need a lot more bankroll, to make, say, $50,000 a year from betting sports. This can be done via poker with a lot less in reserve. With that said, my best advice to players who are interested in beating both sports and poker is to learn both simultaneously. 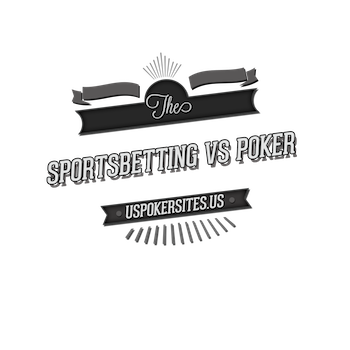 Most serious players use several gambling sites, and in today’s market, nearly every online poker room has a sportsbook, and nearly every online sportsbook has a poker room. Line shopping will be essential, but players should be able to get some excellent betting odds and will be able to game select brilliantly across several sites for poker. Most importantly, treat both poker and sports seriously. Neither of these avenues are get rich quick schemes, they take hard work and dedication. There’s a reason the online gambling industry is worth tens of billions – most people lose.